In the run up to Christmas, people normally mark the beginning of the festive season with the Coca Cola Christmas Advert, right? Well perhaps they should change that. 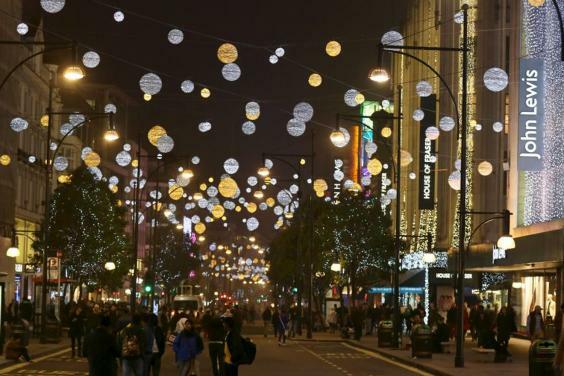 It may be 73 sleeps until the big day but for those behind the lights on Oxford Street, it obviously can’t come soon enough. Don’t worry, the lights aren’t due to be turned on until 6th November. On that day, which is STILL almost 2 months before, there will be the customary big switch on. As usual, the entire street will be closed between 12pm and 7pm, and will feature food pop-ups and lots of activities for the kids. Those behind the lights aren’t the only ones who can’t wait for Christmas, however. The John Lewis flagship on Oxford Street has also installed the lights for their Winter Wonderland display. It features 160km of lights and 400 birch Christmas trees. 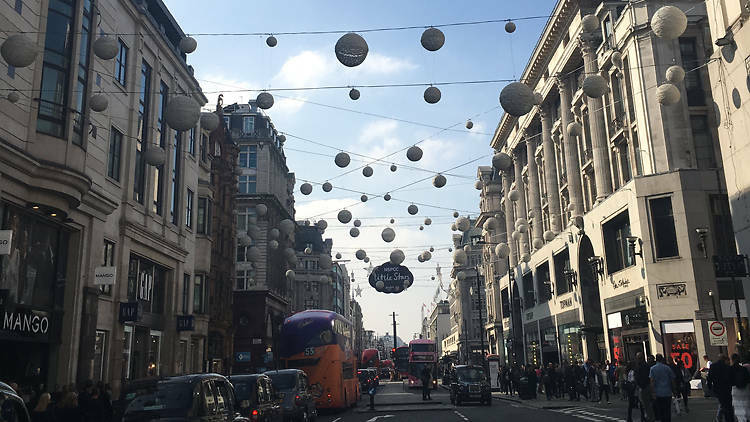 The lights on Oxford Street are sure to stretch a much greater distance, we’re sure, holding 1,778 silver and white orbs and sparkly stars. Feel like giving this Christmas? You can also dedicate one of these ornaments to a person of your choice, by donating £5 to NSPCC’s Little Stars campaign. P.S. Craig David will switch on the Oxford Street Christmas lights on Sunday November 6. The event starts at 6.15pm. 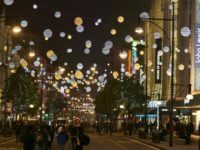 What: London’s most famous lights are up!